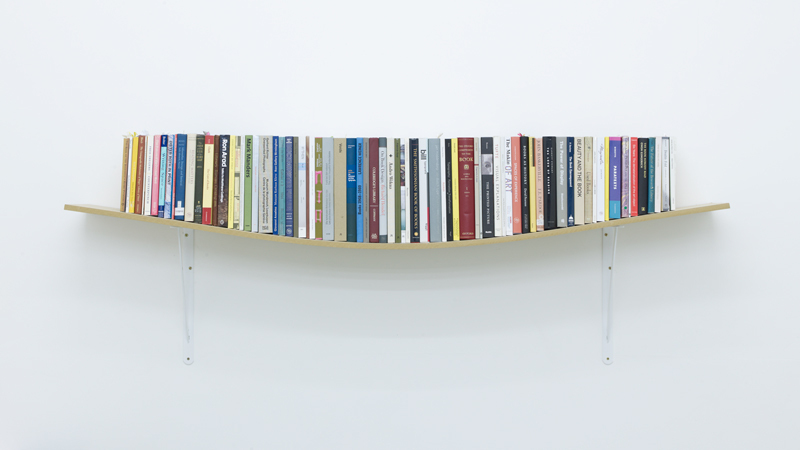 A remake of Display Book Shelf commissioned for Book Show, Eastside Projects. The majority of the selection of 75 books are the research material that informed the show, belonging to the shows curator James Langdon. The shelf sags under the weight of its contents in a graceful arc, the top edges of all the books are perfectly flush as a result of a conscious selection of volumes chosen to accommodate (or compensate for) the arc of the sagging shelf.